almostverbose aka Rowan is a 24 year old (DOB: December 13, 1994) pure-blood wizard living in Godric's Hallow. He wields a 12½" Redwood, Ashwinder Ash wand, and is a member of the unsorted masses of Hogwarts students just off the train eagerly crowding around the Sorting Hat. His favorite Harry Potter book is Harry Potter and the Deathly Hallows and his favorite Harry Potter character is Tom Marvolo Riddle and Ronald Bilius Weasley. Rowan grew up from an old wizarding family which disappeared one day when they encountered a couple of death eaters while they were off traveling and left him with an old wizard family friend. Until now, Rowan still lives because of a curse a hag put on him, believing that it would cure him of his childhood's sadness. When he realized what he's wanted to do with his life Rowan sent an owl for a request to attend Hogwarts and they immeadiately accepted him. 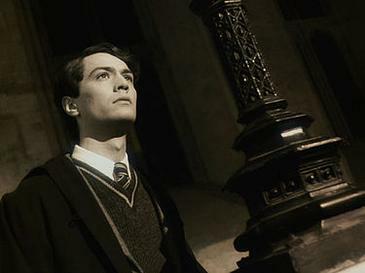 With not much memory of his first family anymore, and not much to lose for, he then set off on his own to this strange school to study advanced wizardry. Currently, Rowan is studying to become a skilled auror and his patronus is a wolf. He has befriended Ezra and they've been good friends ever since they've been first years. He is 5 feet 10 inches tall black hair that hangs in his hazel eyes. Because he's been put in Slytherin he's determined to show everyone he's worthy of this chosen house and is continually motivated to do his best and just be relaxed and happy in the future.